The purpose of this unit is to enable learners to understand how to provide a transport service in the taxi and private hire industries for passengers who require assistance. This unit is particularly suitable for learners who work as drivers of taxis and private hire vehicles and for those who are preparing to enter the industry. This unit will illustrate the need for learners to be aware of the needs of passengers who may need extra help, how to best provide that extra help, and the legislation and training in place to help ensure they get it. All members of the taxi and private hire industries need to understand equality and anti discrimination legislation and codes of practice. It is important that learners understand the correct terms and language that are used when describing passengers’ needs and that are used in equality and anti-discrimination legislation. Learners will need to be able to identify when passengers need assistance and then confirm with the passenger what assistance can be provided. The carriage of assistance dogs is dealt with in detail. Learners will learn how provide an appropriate service for customers who may experience difficulties in using their services, including taking bookings, particular assistance for passengers with different needs and at different stages in the journey. Some of the problems that may be encountered are also covered, including problems with timekeeping and customers who are not at the agreed pick-up point. 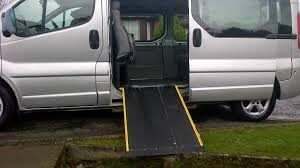 Providing assistance to wheelchair users is covered in depth, including types of equipment fitted to an accessible vehicle and how to best use and maintain the equipment. This unit is based on Unit 6 (Provide a Transport Service in the Community Transport, Chauffeur, Taxi and Private Hire Vehicle Industries for passengers who require assistance) of the GoSkills’ National Occupational Standards for Road Passenger Vehicle Driving.